Last night on Hannity, liberal Fox News Political Analyst Juan Williams got on his high horse and called Michelle Malkin "just a blogger" while touting his title as a "real journalist." 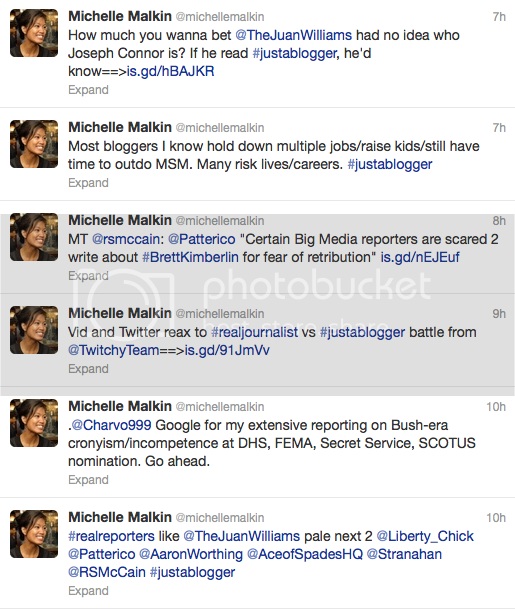 So, let's take a look at Michelle Malkin's background. First off, she's a #1 New York Times Best Selling author, Juan Williams is not. Next, Michelle started her career in the newspaper business and then was an overwhelmingly successful pioneer in the blogging world. She launched our sister site HotAir.com, one of the most popular political websites on the web. 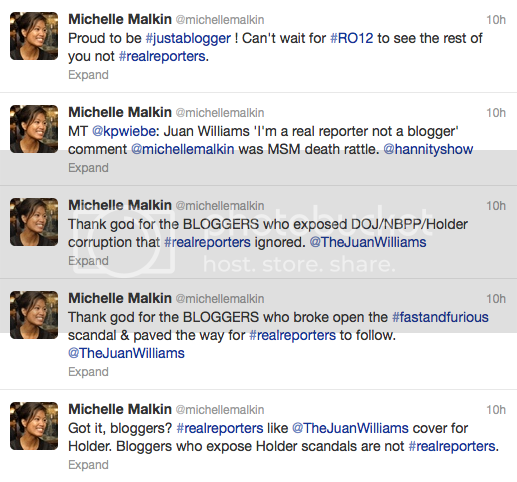 Her own blog, MichelleMalkin.com is well known, highly respected and has massive amounts of traffic. Parting thought: Those "real journalists" over at NPR sure were nice Juan Williams, eh? And guess who had his back when that whole thing went down: conservative bloggers.